Summary: Keep Your Head Down. Sounds interesting, I'd love to read it. The cover is cool looking. I loved this book! Enter me please!!! This one has been on my to-read list for a while. Ooooh!! I want to read this one SOO bad!! This one sounds like a good read! I'm a huge fan of Maria V Snyder, and I've heard good things about this one. The description reminds me of Spares, yet YA. Sounds great! Thanks for the wonderful giveaway. Been wanting this one for awhile! Sounds great! I loved her Poison Study series!! Thanks for the giveaway. Please count me in. I would love to win this one. 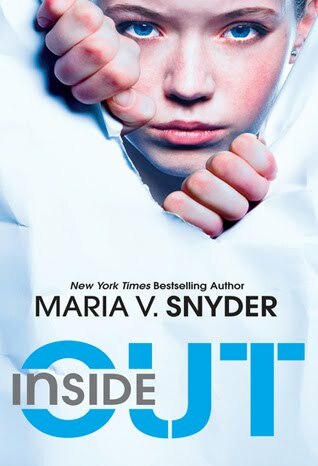 I know this is a sin, but, i've never read any book by Maria. I'd love a chance!! I can't wait to read for this! Sounds great ! Thank you !